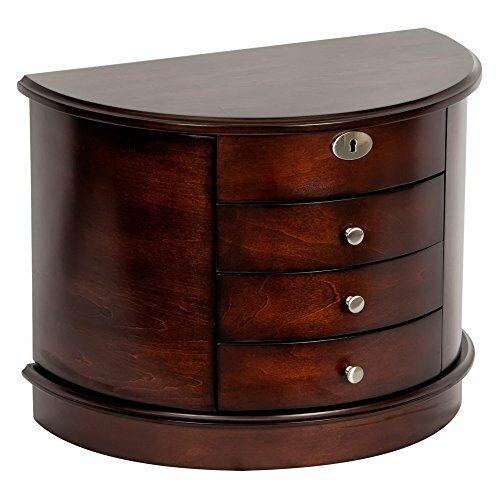 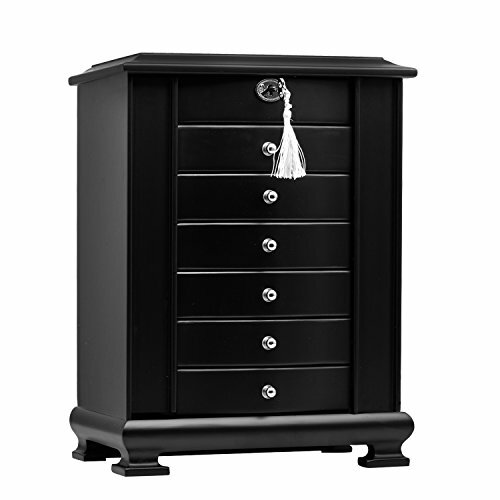 Large jewelry boxes can mean a lot of things, but mostly the focus is on large jewelry chests. 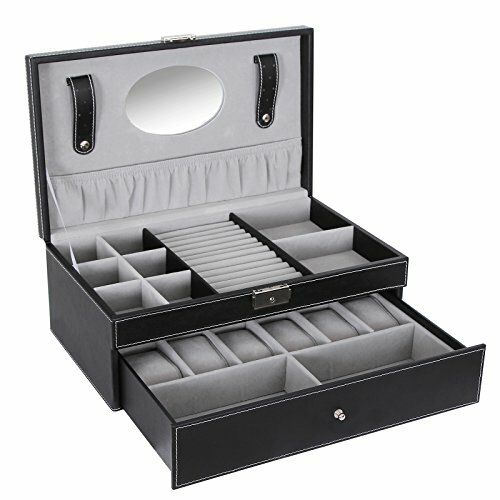 Nonetheless all of them are exquisite works that can help you store, organize or display any kind of jewelry. 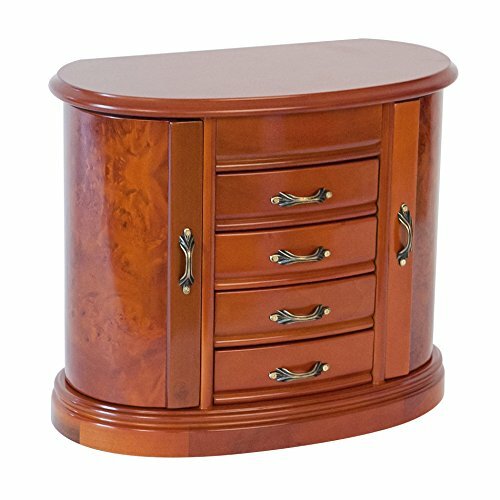 They are delightful in any setting, be it a bedroom or a store. 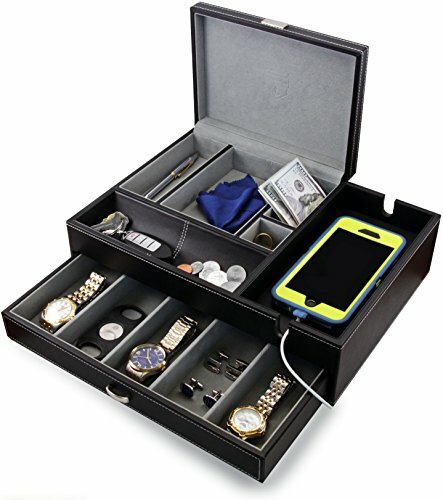 It also helps keep everything in one place, so you don’t have to search through numerous drawers or other places where you might have stored your jewelry. 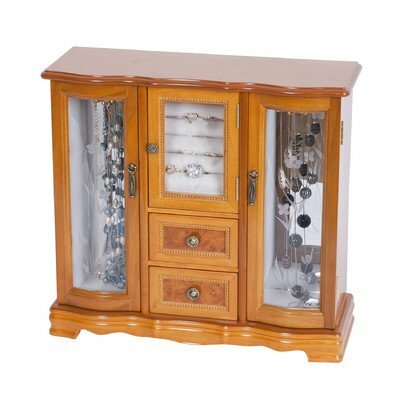 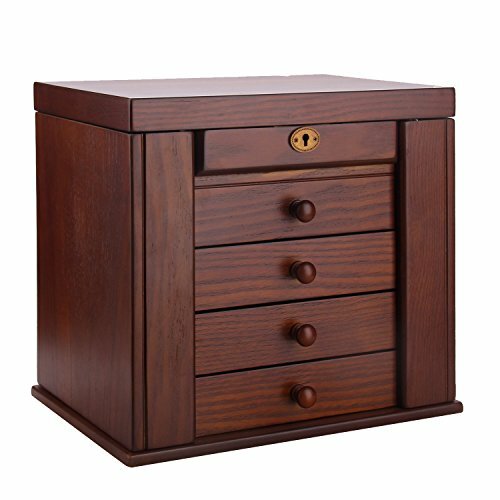 These chest serve multiple purposes that also include security because they can be lockable, they can put any of the items into value because they can be lighted and so on. 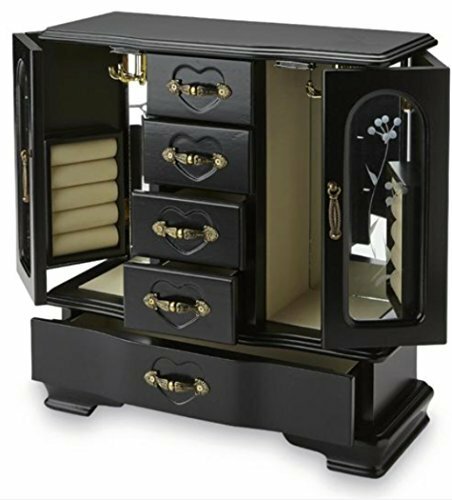 They can hold an impressive collection of jewelry compose of anything from necklaces, rings, earrings, bracelets to bangles, watches, brooches and anything else. 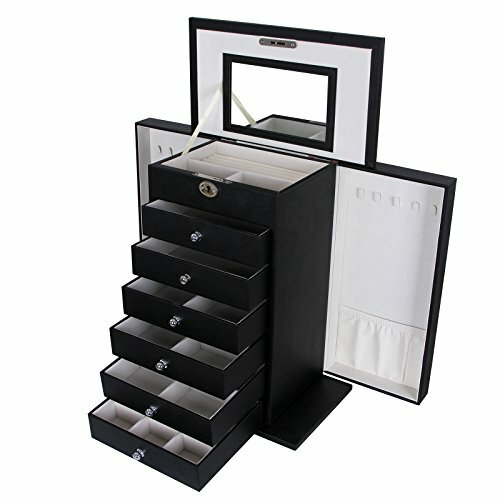 Each piece having its dedicated and specifically crafted space. 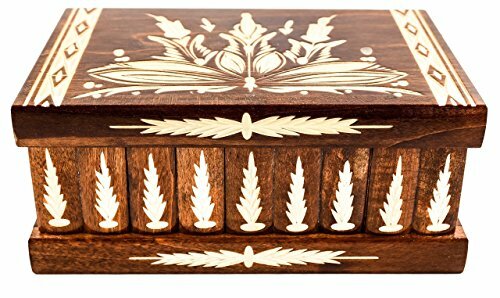 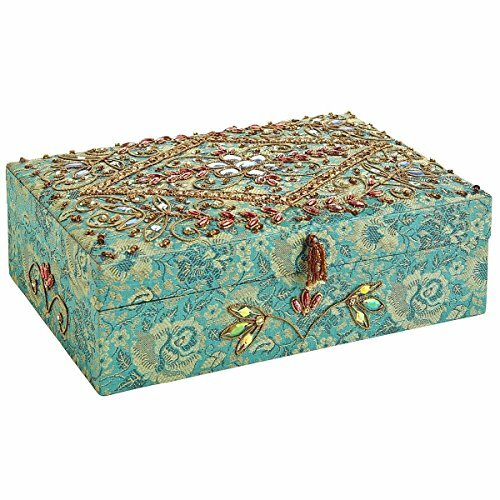 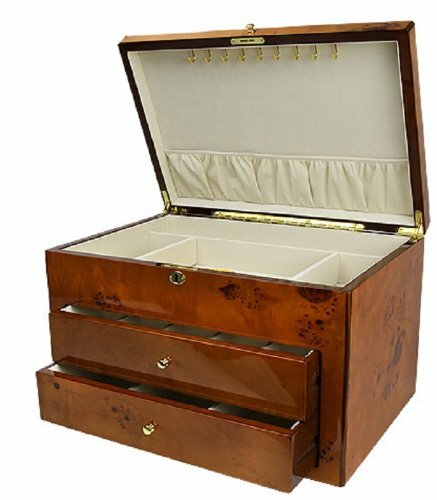 The design of these large jewelry boxes varies and we are certain that within our carefully curated products you will find something to suit your needs and exquisite taste. 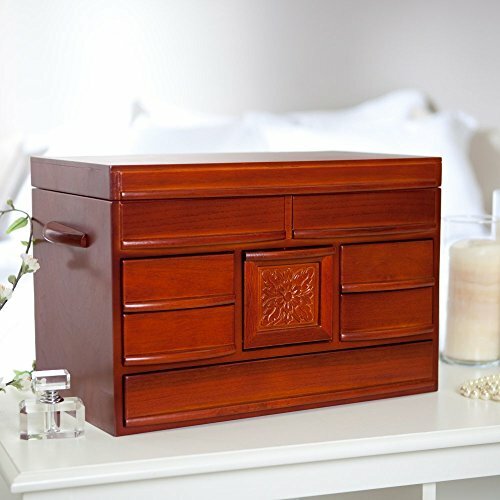 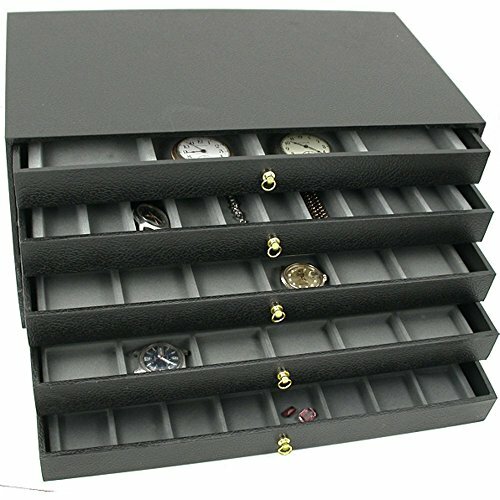 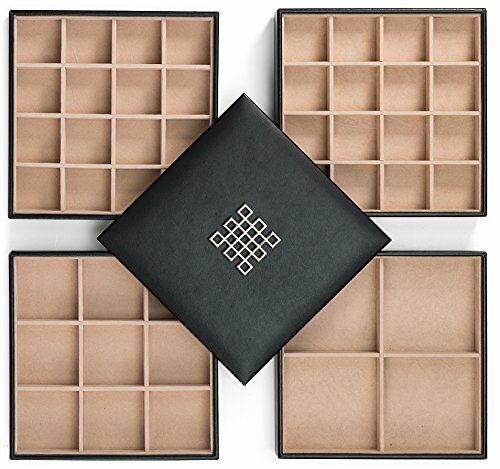 It is of no importance if you plan on using it in your home or to showcase jewelry in your store, you will surely impress anyone who lays their eyes on one of these boxes.